Lechner Custom Woodworks is a Millwork Company in Waukesha, Wisconsin. 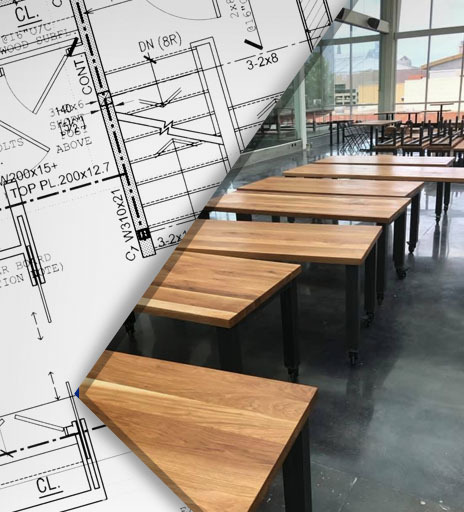 Our talented professionals are experts in the design & fabrication of custom millwork, wood furniture, and cabinetry. We strive for quick turnarounds and 100% satisfaction on every job we work. Let’s talk about your wood working and millwork needs and get a quote started! We supply contractors, architects, remodelers, homeowners, and businesses in SE Wisconsin with residential & commercial millwork. If you’re located in Madison, Illinois, or elsewhere in the U.S., we’d be happy to discuss your project and delivery options. Waukesha, New Berlin, Muskego, Mukwonago, North Prairie, Delafield, Hartland, Pewaukee, Delafield, Oconomowoc, Menomonee Falls, Mequon, Milwaukee, Brown Deer, Glendale, Whitefish Bay, Shorewood, West Allis, Greenfield, South Milwaukee, Oak Creek, Franklin, Racine, Kenosha, Burlington, Lake Geneva, & East Troy. Contact us to get a quote on millwork. If you’d like an estimate on custom wood furniture, have a question, or would like to leave us a review – give us a call at 262-955-6688 or fill out our online contact form.